Brilliant and fluent in too many languages to count, 15-year-old Sierra Wright can't seem to communicate what is important to her in any language. Though April Wright stubbornly keeps an upbeat attitude about her daughter's future, she has let her own dreams slip away. Just across the bridge lives old Luca, scarred from his time in a Romanian gulag years before. Though he has seemingly given up on people, Sierra is drawn to him despite his prickly edges. No one else is comfortable with the unpredictable old man spending time alone with Sierra, not even Luca's son. Yet it is this unconventional relationship that will bring two families together to form friendships and unearth their family stories, stories that just might give them all the courage to soar on wings toward a new future. Buy the book HERE. and managed to attend eleven schools by the time she graduated from high school. Books, empty notebooks and cool pens were her most reliable friends as she moved from one place to another. She holds a B.A. in English and psychology from Houston Baptist University, and lives in Houston with her family. 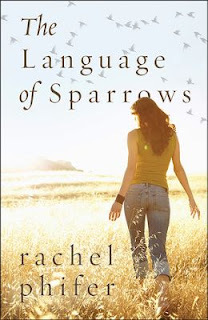 Learn more about Rachel on her Website HERE.